Madam Saigon is located in Millenia Walk. The restaurant offers original Viatnamese foods and other regional cuisines. You must try their salad, summer rolls with prawns, beef noodle soup, stir fry beef, mix roll platter, beef stew, pancake, hot pot and many more. The price ranges from S$17 to S$22. They are open every day from 11:30am to 3pm and 6pm to 11pm. Long Phung is located in Joo Chiat Road. This restaurant is popular among locals because of its original and tasty Vietnamese cuisine. You should try their pho tai, chicken pho, hu tieu kho, ga vien, chicken winfs, desserts and other drinks. The price ranges from S$5 to S$18. They are open every day from 1pm to 2am. Little Vietnam is located in Guillemard Road. Though the restaurant is standing in the red light district, it is certainly a quiet place to hang around and enjoy your Vietnamese dishes. They offer good food at reasonable prices. You must try their com tam, beef noodle, spring roll, ngheu hap sa, bot chien and many more. The price ranges from S$5 to S$18. They are open daily from 4pm to 1:30am. Viet Lang is located in Old Parliament Lane. 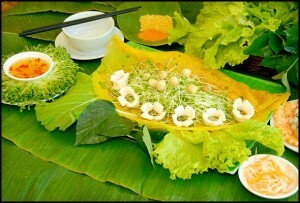 The restaurant serves authentic Southern, Northern and Central Vietnamese cuisines. You should try their vegetable curry, beef la lot, banh beo, ca kho to, pho ga, goi cuon, salad roll, grilled chicken, drinks and desserts. Price ranges from S$22 to S$81. They are open from Sunday-Thursday (11:30am-2:30pm and 6pm to 11:30pm) and Friday-Saturday & Holidays (11:30am-2:30pm and 6pm-1am).